the pdf is a work on this topic. it goes through Larmor Precession and give example on spin-½ and spin-1 system. then it introduce Density matrix and gives some example. The Rabi resonance was treated by rotating frame method and using density matrix on discussion. the last topic is on the relaxation. the purpose of study it extensively, is the understanding on NMR. the NMR signal is the transverse component of the magnetization. sometimes, i will confuse on changing frame, especially between rotating frame and lab frame. the notation plays an important role. for a rotating vector. where is the static frame vector. is the rotation operator, with right -hand rotation is positive around direction . for clearance, when we think on a rotating, is always positive. however, if we regard the vector does not rotate but is the frame rotating, which is equivalent as rotating backward ( left-hand or negative ). the expression is the same but with different notation. if both the vector is rotating an the rotating frame is rotating, in same direction, with different rate. and combine the rotation operator. the principle can apply to any frame transformation. a rotation on positive direction for the vector. if we add the frame reference on as a subscript, things will be much clear. 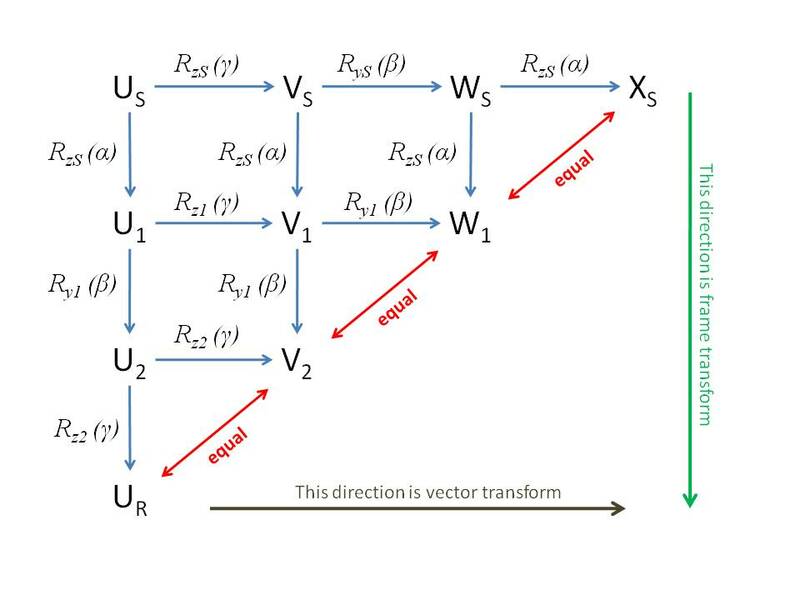 since the same vector can have different coordinate expression. so, we better mark the coordinate with reference system. We are going to talk about coordinate transform from “center of momentum frame” to “Laboratory frame”. At the center of momentum [C.M.] frame, the total momentum is zero. Refer here on Google Docs. for the Mathematica 7 code and calculation steps. anyone want to have the .nb file, feel free to ask. i am just discuss on the result. In the C.M. frame, energy of each particle reserved, there is no exchange in energy and momentum. after collision, they just change the moving direction. the energy is C.M frame is always smaller then Lab frame, or other fame. which is also from the face that, at the CM frame, total momentum is zero and the corresponding energy is the Proper Energy. In Lab frame, the scatter angle is always smaller than 90 degree for incident particle’s mass > target particle. In Lab frame, The larger the scatter angle, the smaller the momentum and larger the momentum transfer.